A big thank you to the publishers, HarperVoyager, for sending us both ARC’s of Nevernight! 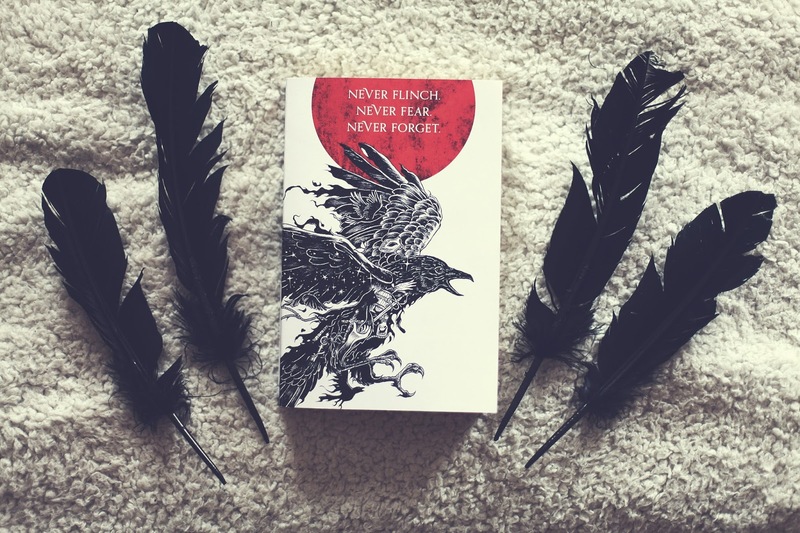 Nevernight tells the story of Mia, a young girl from a noble family who is seeking revenge for the death of her parents, who were seen as traitors to the state. Mia’s ambitions lead her to the Red Church, a secret guild of assassins, to train. However, Mia has an edge – not only can she fight, sneak, steal, manipulate and kill, but she is Darkin – she can control the shadows around her and bend them to her will. Her shadow-cat companion, Mister Kindly, ensures that she will never feel her fear. First off, I sometimes find with books of this genre that the political intrigue and action can be balanced incorrectly – in my opinion, you need both to make this sort of story work. Too much action will mean you won’t care about the characters and the world so much, but too much politics will become boring. Nevernight has the absolute perfect balance between these two aspects, and that’s one of the things that made me love it. Second, the characters. 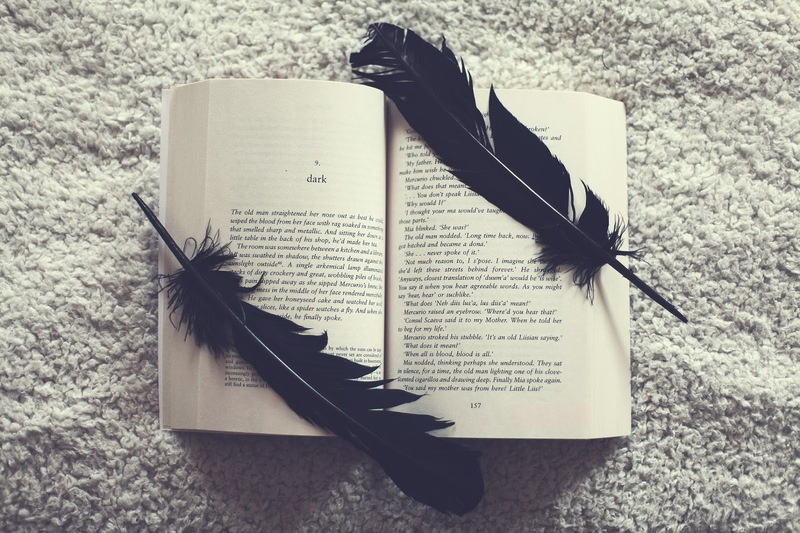 High fantasies are deep books, so we need deep characters to match that. Mia fits the bill perfectly here – she has secrets, she has a backstory, and she is mysterious. Even after finishing the book I still don’t feel like I know her – she’s still hiding things from me, and frankly, I need to know what they are, so despite Nevernight not even being released til August, I already need its sequel (this, I have discovered, is the one problem with ARCs). As well as Mia being perfect, the secondary characters are all top notch. Tric, Naev, Ashlinn, Mercurio, Jessamine… and I loved Mister Kindly, Mia’s shadow passenger. One of my first bookish cross stitches was a quote from Robin Hobb’s Fool’s Quest – “the word of a cat is not to be relied upon”, and I’m telling you now, I don’t trust this cat as far as I can throw him (and since he’s made of shadows, I doubt I can throw him at all). The third ingredient in the perfect recipe for a high fantasy book is the fantasy world and the world-building. I would live in the world that Nevernight is set in if I could – Itreya is completely inspired by everything Venetian, and the government is reminiscent of the ancient Roman Republic (actually, I wouldn’t be keen on living under that rule, but if I could just live in the world without it’s government, that’d be perfect). Anyone who knows me knows that I’m a complete history geek, and anything to do with ancient Rome/Italy is just about my favourite topic. This world was everything that the world of The Young Elites tried to be, but didn’t live up to. Finally, and probably most importantly, the plot. I suppose this kind of brings my other points together, but Nevernight has a beautifully flowing plot, with just the right amount of action, political intrigue, character development and world building all together. The flashbacks throughout were absolutely perfect, and helped me to begin to unravel the mystery that is Mia as more and more of her past was revealed. Everything about this book was just so unique, and I already want to re-read it – I genuinely have never read anything like it before. My one tiny criticism is that the footnotes just weren’t for me. I thought the beginning of the book especially was quite footnote heavy, and I think this is definitely just a personal preference, but stopping every now and then to read a footnote really distracted me from keeping myself absorbed in the plot. Like I say though, that’s just my opinion, and a lot of them were very helpful when a place or event was mentioned that hadn’t been explained in the book so far. One last comment on this book – I’ve seen a lot of people on Goodreads marking it as young adult. This book is not young adult. The majority of it is suitable for a YA audience, but there are certain more adult scenes in it that might not be appropriate for younger teens, or YA readers who aren’t comfortable with reading very detailed adult scenes. This obviously wasn’t a problem for me at all, but after seeing the issues when some younger kids thought that they’d love reading A Court of Mist and Fury as it was viewed as a YA book, I thought it was worth pointing out! Nevernight is definitely one of the best books I’ve read this year so far, and I’d thoroughly recommend that any fantasy lover reads it. It’s released on the 11th August in the UK and the 9th August in the US! I thought I reached the maximum of how much I want to read Nevernight. Nope, this non-spoilers review made me want to read it even more! Then again… the protagonist is a yound adult, right? I think it's going to be very interesting to read a not-really-YA book with a YA protagonist.